The preset location address: Letališka Cesta 10, Maribor, Orehova Vas., Slovenia, area 'Maribor - Airport'. -by using the Maribor interactive map on the left. Aiport offers. In case you need an exotic car in Maribor (cabriolet, sports car, limousine, etc. ), or plan to pick up a car in the night hours, you should look at the rental locations in the airports around Maribor and not in the city itself. Suppliers at 'Maribor - Airport' have a wide car choice and can release your car at night. Insurance. In most of our offers for Slovenia, the rental rates already include the 'Collision Damage Waiver' (CDW) insurance that give you a financial protection in case of an accident. If an accident occurs, you would need to pay at the counter in 'Maribor - Airport' only the franchise (your own risk) amount. Car pick-up. In 'Maribor - Airport', rental companies may release your car in locations outside the airport. In this case, they organize a 'shuttle bus' that departs periodically from the airport building entrance. Car return. On the final day of your rental in Maribor, examine your voucher for fuel terms. Try to bring back the car back to 'Maribor - Airport' in time – avoid additional expenses. After rental. Periodically monitor the return of your deposit. As a rule, rental offices in Slovenia release the deposit on the day of car return, however the bank transfer may take 1-3 weeks. Rental system 'OrangeSmile.com-CarTrawler' offers a unique opportunity to hire a vehicle of your choice in Maribor for any desired rental period at lowest rates. All our featured car options in Slovenia come as an 'All Inclusive' package, and there are no service charges or fees associated. All the rental phases, documents and the customer support are provided in English. 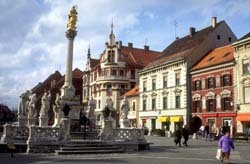 Maribor has preserved a huge number of historical constructions built in different epochs, so it is really hard to allocate one from such variety of attractions. One of the major historical symbols is the Maribor Castle that is located in the city center and surrounded by picturesque squares. The castle built in the second half of the 15th century is a unique architectural monument with decorative elements in different styles. The castle is distinguished by a beautiful interior design. The city guests have an opportunity to visit the most marvelous halls of the castle and admire painted ceilings and decorative pieces of art. Among multiple cultural centers of the city, the Regional Museum of Maribor that occupies some rooms of the Maribor Castle deserves a special attention. Incredibly beautiful halls present rich collections of archaeological, historical and ethnographic exhibits. It also should be noted that a lot of interesting themed events dedicated to national culture and art are regularly held in the museum. In the city, there are many gorgeous religious monuments including Franciscan Church . The first religious construction appeared in this place at the end of the 18th century. 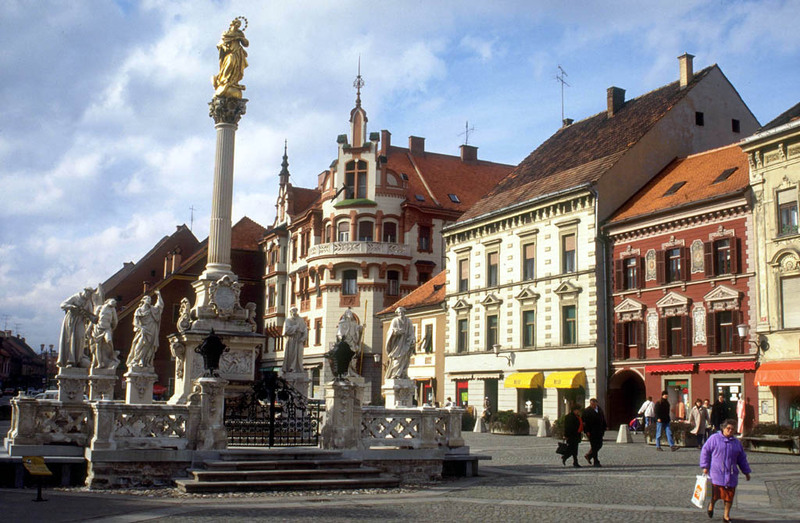 The beautiful basilica with high towers the guests of Maribor can admire has been decorating the city since the beginning of the 20th century. This fascinating building of a red brick resembles a classic Roman basilica. The main decorative element of the church’s interior is sophisticated stained glass.